The following survey results, posted below, were collected in May of 2016. 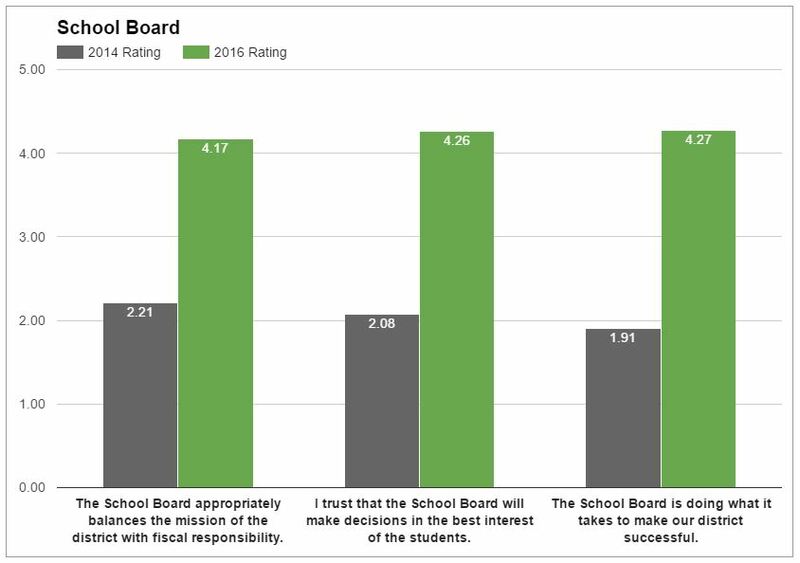 The results were then shared publicly at the regular school board meeting on June 20, 2016. I have represented these results in a bar graph, alongside the results from the same survey conducted in 2014. The results and positive change are AMAZING! Many thanks to Ed Brzinski, WGSD District Administrator. The 2016 survey was completed using survey monkey. In 2014 the WGSD Board contracted with two outside agencies, School Perceptions and the Wisconsin Association of School Boards (WASB). 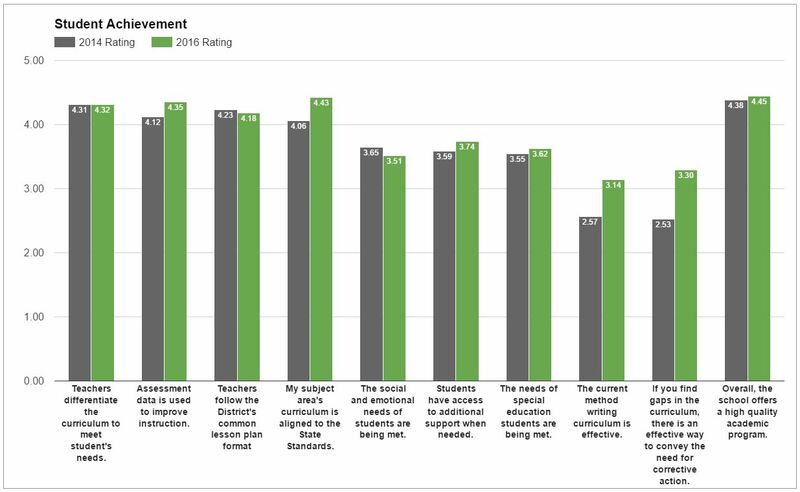 School Perceptions handled the staff survey and WASB conducted focus group discussions with current and past employees. 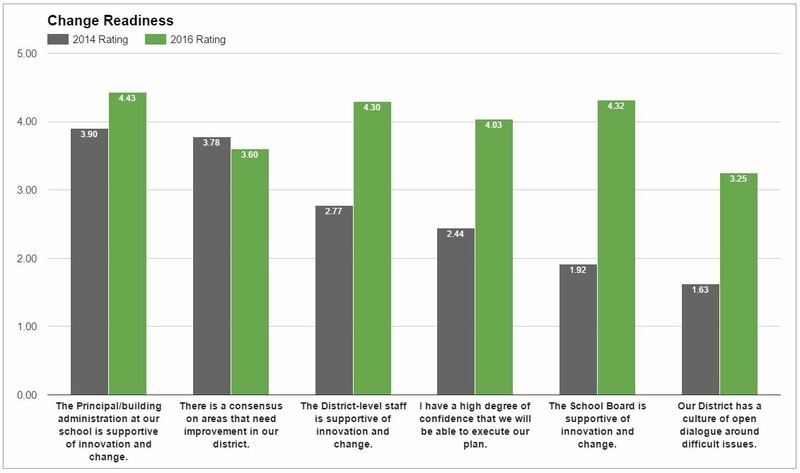 View the original 2014 survey, focus group results, and recorded presentation by WASB to the Waterford Graded School Board. “Don’t Know/Doesn’t Apply” was another option on all questions. 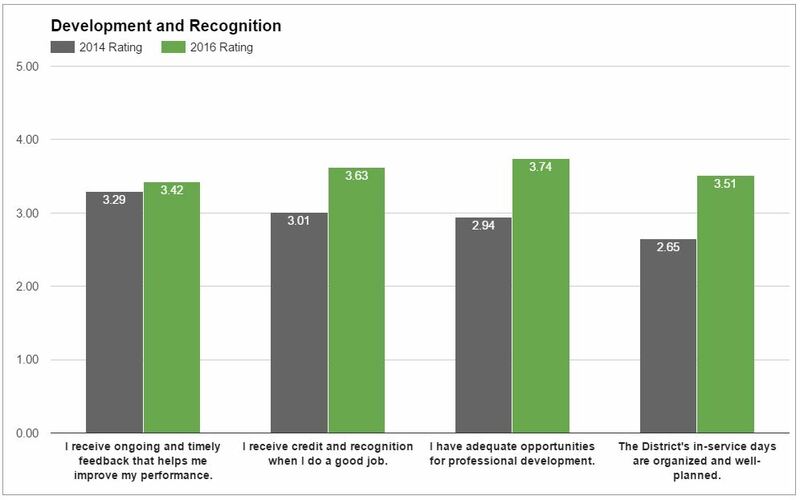 Those responses were omitted from the rating calculation in both surveys. 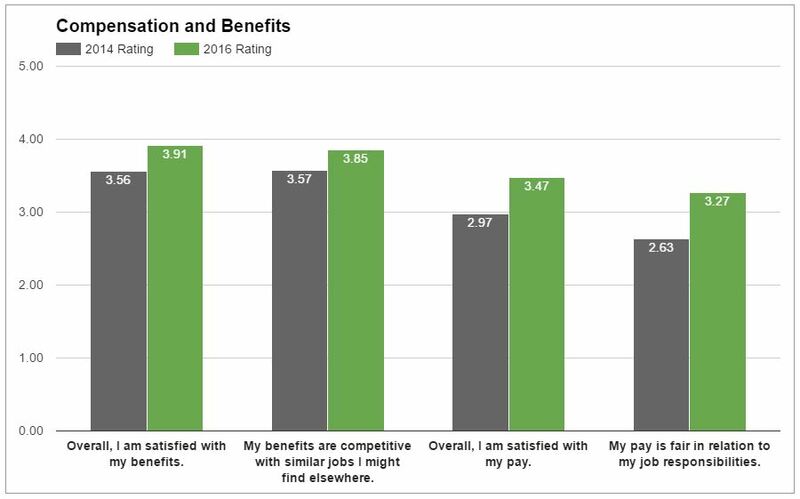 Approximately 134 employees completed the survey in 2016.